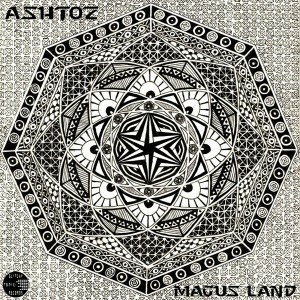 Magus Land is the debut album from U.K. duo Ashtoz on Glitchy.Tonic.Records. It was back in 2010 when Ataro and Babak (AKA Akasha) decided to start a unique “forest progressive” project. With Ataro having experience on the high tempo rhythms and Babak on the low tempo grooves, the pair instantly hit it off and created what you find here: a unique, driving, and forceful sound, quite heavy and “foresty” as they would describe it. So get this and go mental! MP3 Download | FLAC Download | WAV Download · Download count: 9,518. Ah, Ashtoz. Another group that has kicked down the door of our imaginations, and defied it with another mind-bending experience! This album is a journey. Profound, immense, and delicious! Great tracks! For those who do not know, Anahita is an ancient name of the Goddess. Thus began zoroastrianism, which introduced the doctrine of Good and Evil into the world. From there, all the major world religions (the “Аbrahamic” religions) started and became the sources of war. Wow, that souns great. Quite unusual sound for Glitchy.Tonic. I like it, its very “different” sounding, I am normally a Goa head but this makes a nice change. Too much ‘playin around’ for my musical taste. Sometimes less is more. My favourite album 2014 and 2015. Beshno Az Ney and Choga Zanbil are so fkin dope!